Facebook and Reddit have taken down pages and deleted posts discussing the Orlando shooter’s religion and a page by "Islamophobe" Pamela Geller. The Stop Islamization of America Facebook page was deleted in the wake of the attack, according to Geller. 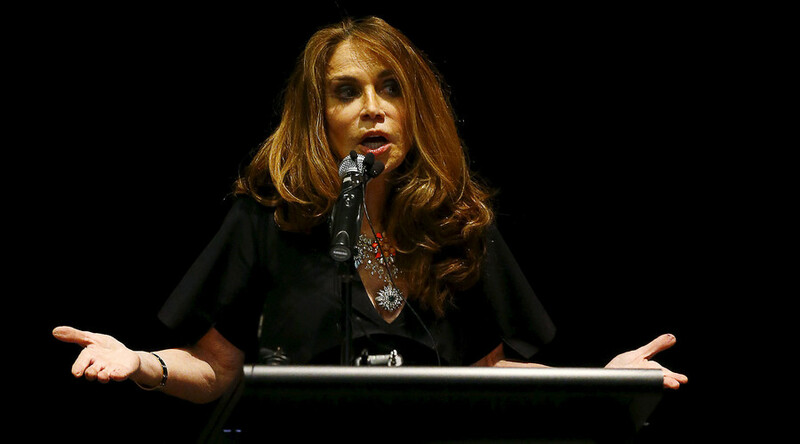 The page has since been reinstated although Geller claims she is still blocked on the site for 30 days for a post criticizing President Obama’s response to the Orlando shooting. It does not appear that she created a "Stop Homophobia in America" page, even though that is emerging as the shooter’s main motive. Some 49 people were killed and 53 left injured when a gunman entered a gay nightclub in Orlando on Saturday night in the worst mass shooting by a single individual in US history. Omar Mateen, the US citizen responsible for the attacks, was able to purchase an entire arsenal of guns to use in the massacre despite several FBI interrogations over alleged links to terror suspects. Facebook has been criticized by all sides of the debate over free speech vs hate speech. Politicians in the US and the EU, along with #BlackLivesMatter activists, say Facebook fails to remove racist and hate speech in a timely manner, if at all. Last month, conservatives raised a fuss after former employees accused the social network of suppressing right-wing stories in the trending topics list. CEO Mark Zuckerberg denied that accusation, but after relentless media pressure, he met with representatives from Fox News and Donald Trump’s campaign to discuss the issue. While he didn’t take as much time out of his busy schedule for #BLM leaders to discuss lingering hate speech on his website, Zuckerberg did plead with his employees to stop writing “All Lives Matter” on Facebook campus walls earlier this year. Users on Reddit have also accused the platform of censoring content in the wake of the Orlando shooting. Reddit faced criticism in 2013 after users posted the name of an innocent man they thought was a suspect of the Boston Marathon bombing. Thousands of Reddit users were censored this weekend, according to Vocativ, even though many of the posts did not appear to violate the site’s rules on what can be categorized as news. A post appealing for blood donations in the area after the shooting was removed, causing outrage among Reddit users. I rely on @reddit for unbiased news coverage and commentary. The censorship of the #Orlando story is really disappointing. Outside of the US, the Swedish radio station Sveriges Radios Ekoredaktion censored a press conference by police in Orlando over fears they might reveal the name of the shooter. The station was criticized for their decision, although the station defended its editorial right to process the information before publishing. @sr_ekot Ni tillkännager alltså att ni aldrig mer kommer att sända direktsända presskonferenser p.g.a att ni vill kontrollera informationen.